You read correctly. We said mullet festival. 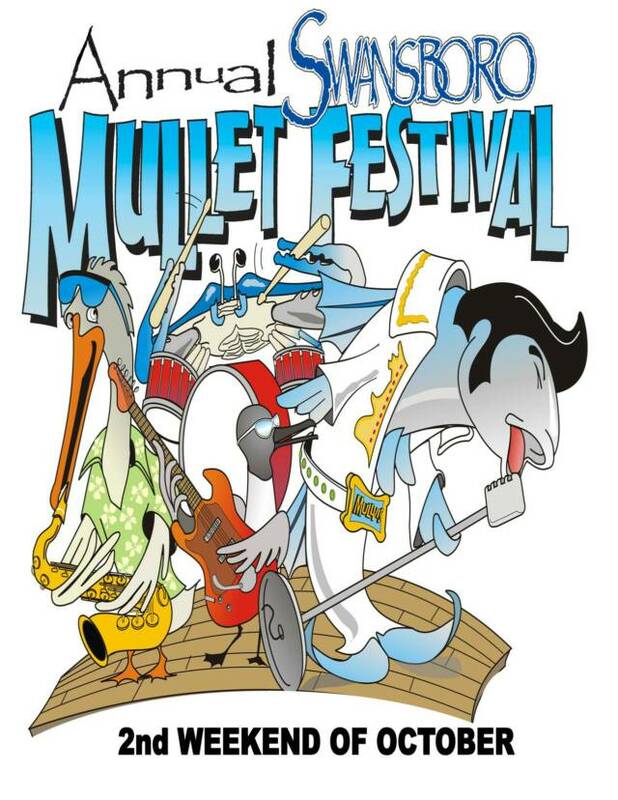 The Swansboro Mullet Festival, the oldest festival on the Crystal Coast, celebrates its 58th year this weekend on Saturday, October 13 and Sunday, October 14. 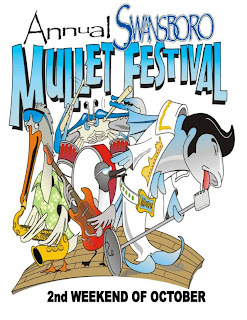 If you're not from around here, let us clarify that this weekend centers around the fish (you can view a clip of mullet fish in action here), not the haircut (though that would be an interesting festival to attend). 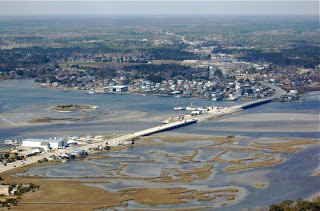 Swansboro, North Carolina is known as The Friendly City by the Sea and is rich in maritime history and culture. You can read more about the town of Swansboro's history here. We're going to focus briefly on the Mullet Festival's history. Mullet are a small, bony fish that show up as a bluish-purple tint here in our local waters. Back in the day, they were often caught by being hauled to shore with nets hooked to tractors on the beach. 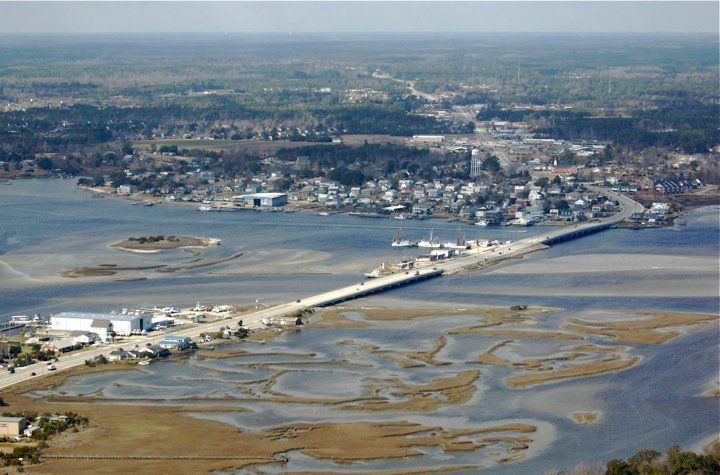 In 1954, mullet fed the workers building the new White Oak River bridge which became a vital link between Onslow and Carteret counties. When the bridge was completed, the Mullet Festival was conceived. It was a way to celebrate the arrival of the modern era in bridge form. At that time the festival was a bit different. It was more like a potluck with the town coming together and contributing to the celebration of this local historical event. Today, the Swansboro Mullet Festival has expanded into a two-day festival that offers locals and visitors a glimpse into history combined with a modern celebration of all things mullet. The festival is free. Enjoy a parade, entertainment (featuring beach music and live bands), kids' activities, lots of food (fried mullet included), and more. If you get the chance, try some smoked mullet. Be sure to check the Swansboro Mullet Festival's schedule of events for full details including the entertainment lineup and times. Don't forget that fall is an ideal time for a Crystal Coast vacation. 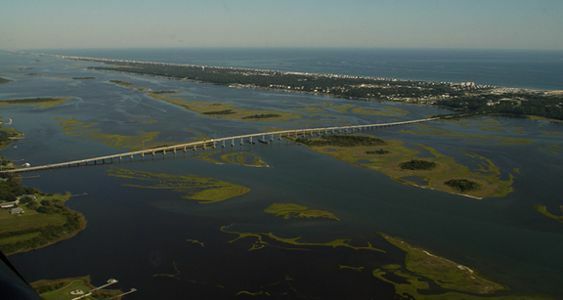 Stay right on the beach in Emerald Isle and then make the short coastal drive over the Cameron Langston Bridge to Swansboro to enjoy the festival and the town itself. Interested in trying your hand at mullet fishing, or any other kind of fishing? We have a lot of outdoorsman retreats that would be perfect for your stay. There are also off-season discounts and specials on vacation rentals this time of year, so it's a win-win! We look forward to seeing you on our beaches and in our local coastal towns. If you've been to Swansboro or to the Swansboro Mullet Festival, tell us about your experience in our comment section. We love hearing from you!